In 2011, one of our partners, a major advertising company, decided that facebook competition, would be ideal for the promotion of facebook fan page and website of Andreadis Homestores Company. The development of the facebook application for this competition, was assigned in intros.gr. 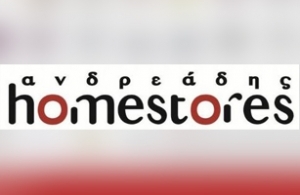 Users participating in the competition, had to choose the object that they wanted to have from the large e-catalogue of Andreadis Homestores and make a note why they want this specific item. Then, users had to invite their friends to participate in the competition, to vote (Like) for their choice in order to win it. It is quite clear, that competitions or facebook applications increase the spreadability of the fan page in facebook and website as well. Through such competitions, companies can increase the target group of potential customers and potential sales. In intros.gr, we believe that neither the desing and development, nor the cost of such applications in facebook should be an obsacle to company's growth. We have the knowledge, the experience and the technology to implement any idea, as difficult as it may seem. So, do not hesitate to contact us for the implementation of your idea. We are here to help you!! We provide our customers with the most attractive and effective solutions!